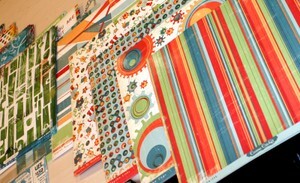 Some of the stuff that arrived today has to be seen....it is gorgeous colours, fabulous designs and great prices to boot! Check out these links to some of the products but you will have to make it in to the store to know just what we have.....suffice to say this is the start of things to come. and if you really need another reason to come in.......try this link! Hi there. E here, and if you hadn't noticed....March has crept up and bitten us! Hard to believe really that this is week 10 of 2008. I have a feeling this year will fly by. 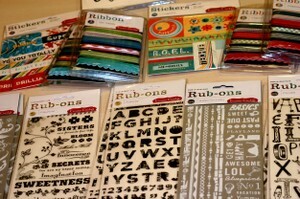 March is brimming with stuff here at TSS. Sadly due some serious technical bloopers we have not being able to bring you the calendar but trust me when I say it is awesome. Starting tonight with Kerry's KIS class. 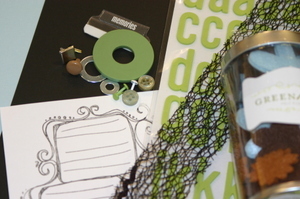 See the sneak peaks in the album, but this class is fabulous. 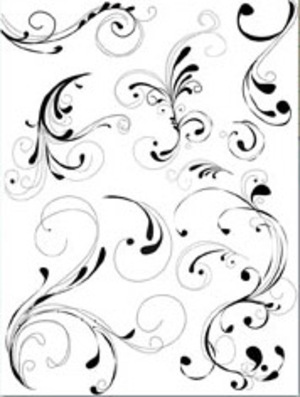 Great value for 2 pages and they are always easy fast pages to create with maximum impact! There are still spaces available so be sure to make your booking. 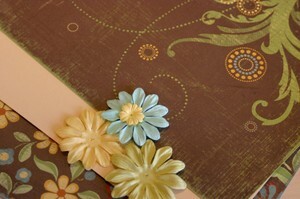 March the 26th is the previously postponed class with Lyn. 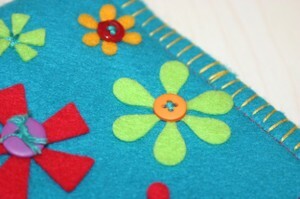 7Gypsies Teeny Weeny Tales book. This was sadly postponed last mth due to a let down in product arriving but we have everything here and I can tell you it is a gorgeous wee project. I will have sneaks for you Friday, so book now for that. Remember: If you are wanting to attend one of our classes you are required to pre-pay. 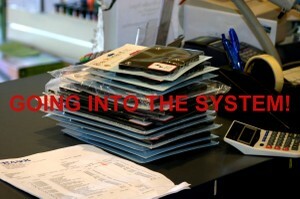 We can process eftpos & credit cards over the phone so you don't even have to come to the store......just phone! American Crafts is going great. The March Madness Sales table is out and if you loved the foam lettering on my previous layout share, then you will love that we are CRUSHING the prices for you. At the moment one of these awesome cannisters of goodies is just $14.90 ...."not that special" I hear you say?...well it is when you can choose another for FREE! That is 2 for 1.....a real deal, and one that won't last. In addition to this special we have a table in the front window BRIMMING with goodies. It is all slashed in price so make the most of the clear out, so we can welcome in some new products. 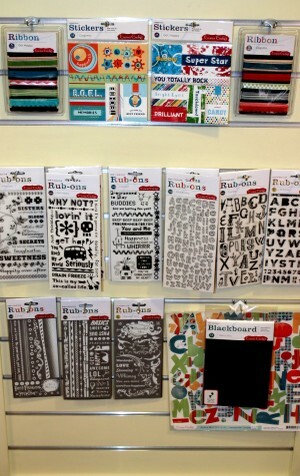 Speaking of new products this week has seen the arrival of some fabulous making memories products. I tried to bring you some pictures of these products but alas.....just weren't happy with them so I will bring you loads of new pics after Friday. Some of the products include gorgeous Artisan edge papers in subtle colours, fabulous Ric Rac from the Ava collection, Clips in divine colours and some notebook worth a look. Watch this space! 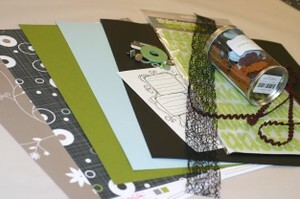 5+ BAZZILL A DAY KEEPS THE SCRAPBOOKING POLICE AWAY! It is true isn't it? I mean 5 + fruit and vege is good for you, but 5+ Bazzill is necessary for the life of your scrapbooks. We are privileged to have a fabulous range of Bazzill and now we are going one step further! While our dollar is good we will bring you the deal of the year. 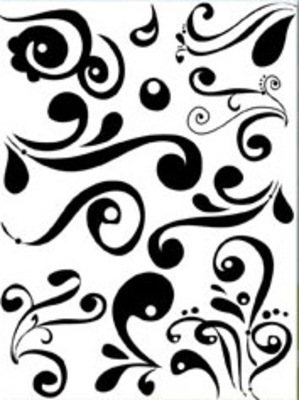 Buy 10 sheets of Bazzill & pay only $10.00 for the lot! This is a saving of a whopping 22% from our standard price, or for those that want me to math it down.....$3.00 OFF. 10 for $10 will continue for as long as we can pass the savings on. Make the most of it! I leave you now with a share....hope you are all well and marking the above dates on your calendar. Bye for now. PS: I nearly forgot.... 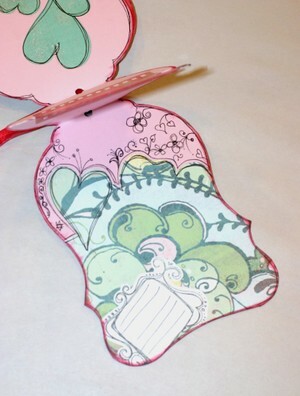 The March Sketch Challenge is up on the blog and available at the store. Get creating people. We love getting your layouts in and it is increasingly becoming a very hard thing to judge. I know who won last mths....do you? Well after Friday I will take pics and make a big fuss cause this page is simply delicious! Last Sunday brought the first annual TSS Garage Sale. An event organised for you to bring your unwanted stash for re-sale. Well it was a huge success for the stall holders there.....all 2 of us! Bit sad really because we had a huge amount of people coming to shop. It was an event that truly could have been awesome. Maybe a victim of timing? I know the frist few mths of the year roll over fast and they have to be the most expensive....another reason I thought this may have come at a good time for ya'll. Anyhow. 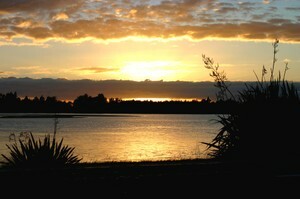 Well done to those who benefit from the day. We have thrown some ideas around about the next one....maybe off-site, maybe mid year, I dunno.....Have you got some good ideas? Share them and lets make the next one and event to remember. Mrach is brimming with cool classes. 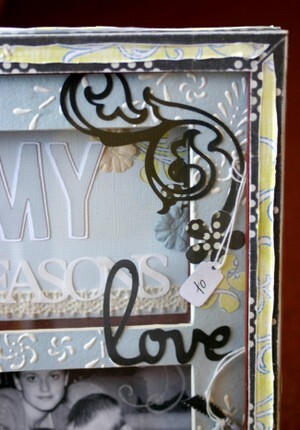 Kerry's KIS class sneak peak is here..... March 12th is my Altered Frame class. Registrations are good and there are some places remaining so call the store. 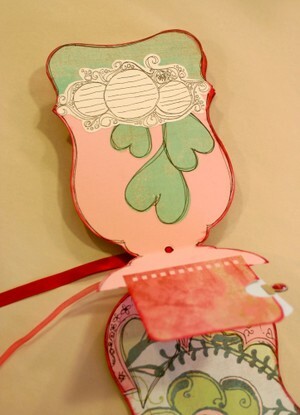 March 19th is my Mod Podge mini album tecnique class. I am thinking of using a round album cover for this project so it should be cool. This class will be more about the covers and the technique than finishing an album, so if you want to learn something new....register now. The TSS Kits are having the finishing touches put on them before photographing and adding to the blog. This is a sneak peak of one You will notice a new album on the blog here for all the kit pictures so you can see them from the comfort of your home. We will continue to provide great pre co-ordinated kits for your covenience. Autumn Leave stamps are here! I know....it seems unbelieveable, but it is true. I unpacked them myself. 1/2 an hour after unpacking we had sold 4 sets so don't delay. Check these out! not the best images but you get the feel right. Can you believe we have past the half way point in February already? E here with yet another bunch of catch up stuff. 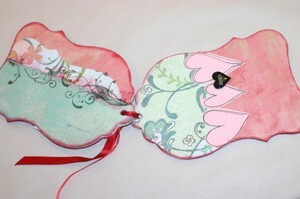 Firstly thanks to everyone who came and did the Valentines book class. It was an awesome class and great to have you all there. A special thanks to Deb from Christchurch....came all the way for the class....what a gal! Soooooo nice to meet you and I know we will be seeing more of you. Another special member of our group that day was a gorgeous wee girl by the name of Bonita. She is 9 years old and entered a layout into our January Sketch contest and I have to say....we were blown away by the amazing layout she completed so here it is. Bonita's reward for such a great page was to join my class and so I sure hope you had a fabulous time!!! 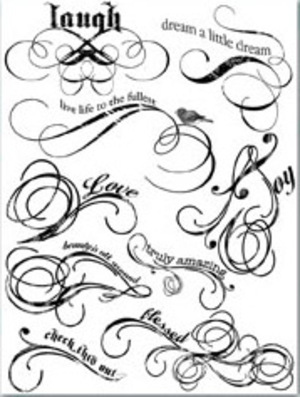 The winner of the Sketch challenge was this layout from Helen Lynch! Congrats Helen....again your work is amazing. For the ladies who attended the valentines class my apologies. I was going to load pictures for you all to finish but have had some technical problems....finally though....here they are! 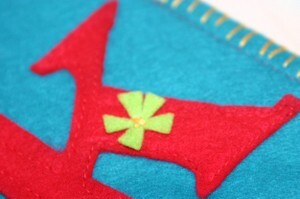 This is your sneak peak for the upcoming class on the 27th of Feb. Kerry's Felt wallet class. Boy this is going to be cool. Love it Kerry. Register now!!! 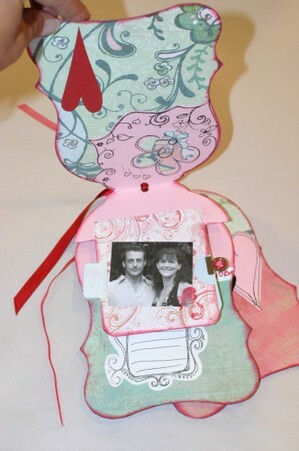 We have been loving all the new American Crafts stuff and here is the layout finished using just some of the items in your kit. 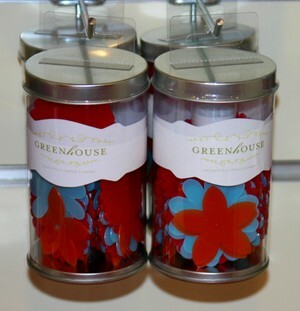 These are super value with a whole pot of flowers etc in them and at $30 each they are a super idea. Call us at the store or email us and let us know if you would like one. We can ship them out so just say the word. Ok....6 more sleeps till TSS have their first annual Garage Sale. 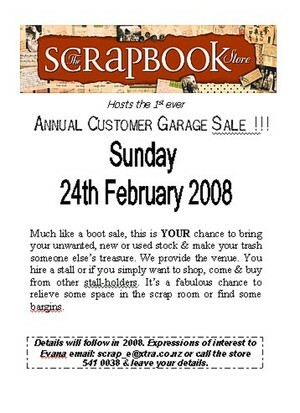 YOUR chance to brig your scrapping or craft related items you no longer want and sell them to our shoppers. We have changed a few things to get you all motivated....one of them is the cost of having a stall......we will now ask only for a GOLD COIN DONATION! That is it! Remember it doesn't matter how much or how little you have it is a great chance to clean out and make some cash using this venue. Call us at the store to hold a spot for you. Garage sale starts at 10am so for stall holders you will need to be there a little earlier. I have done my part...I have cleaned out all my new and used stock that I no longer want and so I challenge you to do the same. It is a nice feeling to de-clutter sometimes and it make rooms for all the yummy new stuff. OK....for now that is me. 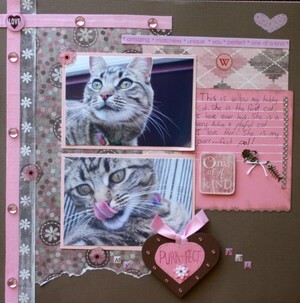 Chat again soon, and please email us some of your layouts to share....we love looking at your work. This event will run the same as any other Garage Sale. You will be required to bring your items ready for sale. This means your goods should be priced and packaged how you wish to sell them. Items packed into a collection or co-ordinated pack always sell well. You can bring new unused items or partially used items if you wish. Remember this is a garage sale & so if the item is priced well it will sell. It is a good idea to pack used items into a bag & price a bag. 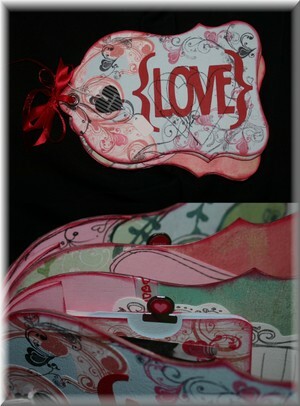 You will need to bring a card table or other means of displaying your items. If you wish too you can simply bring a quilt to lay your items on. You will need to have your own cash float/change. It is a good idea to make a not of what you start with so you can see how much $$$ you make. TSS will not be taking eftpos or cash transactions for garage sale items. We may be able to 'change' money but this will only happen if we have enough change. Stall Holders will be assigned spots as and when they arrive. First in gets the best spots so be there early. The cost of a Stall on the day is only $10.00. Bring cash for stall holder purchases. other than that......there is not much else that you need to know at this stage. Registrations are open for stall holders. 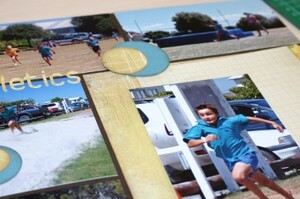 You can email me scrap_e@xtra.co.nz or call the store on 541 0038 to register. Times will follow shortly. The store will be open for store purchases This won't be advertised to the general public so it will be a nice time to shop with us aswell. We will be having some instore specials, and sale tables as little something special for those who attend. See what happens when we leave her alone????? GREAT STUFF LYN! Thanks.....I can't wait for the class and I know it will be loved. I sure hope you all emailed and got that deal. has the last post sunk in????? Ready for the next one??? So it was just too much info to share all in one hit and besides that....I needed to get some sleep...lol... So here it is..the second installment. January 30th is the first of the classes for 2008. 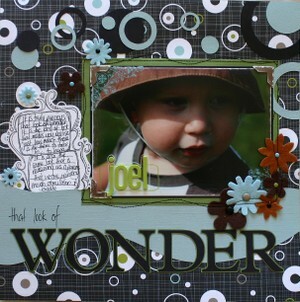 Kerry will be creating a double summer layout & it is one not to be missed. The costs of this Keep it simple class has had to be increased due to the price increases across the board but at $25 for 2 pages and everything you need it is the cheapest you will find. 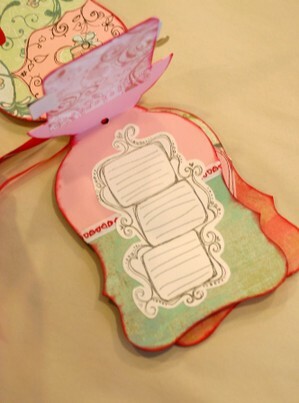 This also allows more variation in page embellishments when it is required. Call the store for bookings NOW! Many of you have been asking and now that Xmas and the New Year are out of the way it is a good time to start planning this event. The Annual TSS Garage Sale has been born after allot of customers have commented on how they need to sell out of allot of their old stash to make way for new stash. It is primarily organised for YOU to bring along your unwanted stash and sell it to a new and more loving home. The benefit is that we have all of these sellers in one location for the prospective buyers to come and shop. Tell your friends all about it. Leave me a comment in this post with your name & the name of 2 scrapping friends you have told about this garage sale & I will send you an awesome RAK as a thank you. Comments must be on this post only so get yakking. Hi there. E here....just a quick note to say check the December event calendar for some minor changes and don't forget you have a couple more days to get your November sketch pages in. Judging will commence at the end of the month with the lucky winner getting $40 worth of TSS product. I have loaded the December sketch for you to have a go at...check the store for the sample. 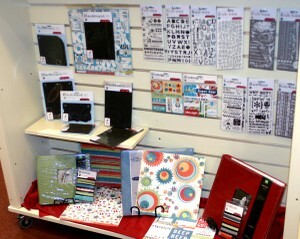 Loads of new stock and yummies at the store some loads of reasons to call in and check them out. This is a great time to shop for that scrapper!